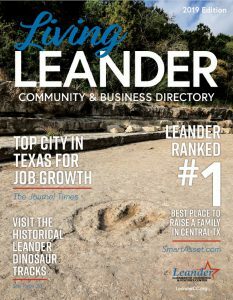 As a new member of the Chamber or as someone taking over the chamber relations, you have joined nearly 500 member companies working to shape the future of living and doing business in the Leander area. Get involved! The Chamber cannot guarantee your success or your profitability, but we can guarantee the right business climate for you to succeed. Sign Up for the Monday Newsletters. They include an event calendar, tips on getting more out of your membership, exclusive chamber member programs, and more! Watch the Member How to Videos. They will quickly teach you how to get the most out of our website. Go to Membership Directory to look at other member’s information, find e-coupons, view the event calendar. Log in to the Member Login and review your information page. Come to 1 networking event…you can see them here. Attend the next monthly Lunch and Learn. You will be recognized at this lunch and presented with your membership plaque. Commit to attend the next Chamber Tools and Resources –new member orientation to learn how to maximize membership (These happen monthly prior to the lunch. 11:00-11:30 AM). 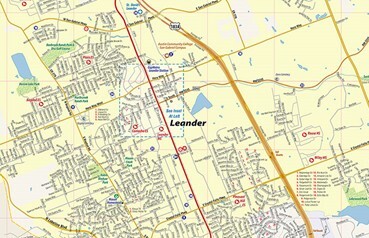 Go to Chamber Facebook page look for the post of where you joined the Chamber. ‘Like’ your post that you joined the Chamber & become a ‘fan’. Post an event or happening with your business on the event calendar. Post a coupon on the e-coupon listing (it helps your SEO). Attend a Free After Hours Networking event, details on Chamber event calendar. See your Ribbon Cutting help sheet and schedule a Ribbon Cutting Rules and Tips. Set Up a Table Top Expo at the monthly lunch ($20). Add promotional information to new member bags (Collaborator level members and higher can bring goodies to the chamber to add to the bags that we distribute to new comers). Review online membership directory. To whom can you potentially refer business? Call the Chamber if you need an introduction to that member. Time is limited and not sure how to get involved? Call the Chamber to learn more about how and where you can serve. Review advertising opportunities with Chamber for brand and name exposure. Determine an event you would like to sponsor for additional exposure. Review calendar for Ribbon Cutting of businesses that could be a good referral source AND COMMIT TO ATTEND THAT RIBBON CUTTING. Everyone is welcome at every single ribbon cutting. Review hits to your online listing. Update the online e-coupon and listing if needed. Review membership ROI. Are we meeting the goals you set for joining? If not, call us (512) 259-1907!